Menstrual pain, also known as dysmenorrhoea, is quite a common occurrence, in fact around 80% of women experience severe period pain at some stage of their life. Some 10% percent of women experience such pain that it disrupts their everyday life making otherwise easy tasks unmanageable. Those that suffer from the condition have so far been forced to use anti-inflammatory drugs like ibuprofen, ketoprofen and naproxen. Some have used home remedies but with limited effects. In some places around the world medical marijuana can be issued as a way to deal with the pain and the cramps, but for most medical marijuana is still a privilege they are not yet entitled to. Today, the market is richer for one more cannabis-based remedy. 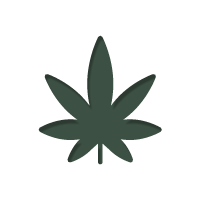 Foria Relief is a tampon shaped cannabis-based repository. The cannabis tampon isn’t meant to be used as a conventional tampon, as it isn’t absorbent enough. Its power lies in targeted pain relief and muscle relaxation associated with the cannabinoids present in the repository. It has been well documented that both THC and CBD are helpful with managing pain. It is upon that knowledge the product idea is based. The producer claims the product doesn’t induce a high commonly associated with cannabis which makes it suitable whenever there is pain present. It is important to note that none of the product manufacturers claims have been medically proven but a growing user base testifies to its efficiency. What Foria has made looks to be a start for the industry of getting vaginas stoned. All we have to say is: Why not?